It has been said that misfortune or other untoward events are remembered more vividly than joys. So it was the trouble caused to my Father and Mother by their having to leave the house where I was born that fixes my earliest recollections. When my Father and Mother were married they went to live in a small house on the side of the police Station at Berkeley, and their my brother Allan, their first child, was born on 18 August 1860. I believe the Police Station was newly built, for the tale is told that the Police Sergeant took baby Allan down to the bottom of the Station well that was then being dug, or rather was just finished. I have often wondered how Mother could let him go! Still, he was safe in the hands of the Police! From thence my parents moved to a house (with a shop) nearly opposite the Berkeley Arms hotel in the same street (Canonbury Street). There, they opened a baking business, employing a baker, my Mother looking after the shop as my Father was employed at Sharpness as a Clerk by the Gloucester and Berkeley Canal company, and walked backwards and forwards each day – over three miles each way. At this house I, the second child, was born on 7 January 1863. For some reason the baking business did not pay, partly I think because people had goods on credit and did not pay up; at any rate it was decided not to keep the business and as the premises were too expensive for them as a private residence it was resolved to leave. But where to go? There was an acute housing problem in those far off days, and it was the trouble of finding a new home that form my first recollections. I remember that the only place available was a little cottage nearly opposite, next to the “Berkeley Arms”, with a door opening from the street direct into the living room, and at the side a dark and (to me) fearsome gloomy passage leading to the back of the premises. I believe there was a prospect of a better house in view, certainly this poor cottage was considered to be for temporary occupation only, and apparently we were there for a few weeks only, perhaps about three months, when we moved to a very nice house in the High Street, next to Dr Bridgman’s surgery, belonging to Mr. Ayriss, Huntsman to Earl Fitzharding. Ayriss had bought it for his prospective retirement, some years ahead. Calculating back, I think I must have been about three years of age when we left the house of my birth, and the only thing I remember of that house and the life there is a vague memory of a passage at the side leading to a bakehouse at the back. Years after, referring to a certain woman, my Mother said “I had a good mind to remind her of the money she owes us for bread; if only people had paid what they owed we should have been in a different position!” Looking round me today one can see the same kind of thing going on, people (often those who are well-to-do), keeping tradespeople waiting long periods for their money for goods long ago consumed! The house in High Street was a very desirable residence with a vine growing over the back, a small yard behind the house enclosed by a wall and a nice garden. My Father was an enthusiastic gardener and looked forward to happy hours spent in cultivating vegetables and flowers, rising early for that purpose. I do not know what time of the year we moved to the house in High Street but some time after we got there came round the time of pruning. My Father, early one morning, before starting off for Sharpness, placed a ladder against the back of the house and forthwith proceeded to cut away the loose branches of the vine. Not then having time to finish, he left the ladder in its position, and, having partaken of his breakfast, set out cheerily on his journey to Sharpness. All went well till some time during the morning when, leaving her two little boys happily playing, dear Mother proceeded upstairs to make the beds and perform other necessary duties. Happening to look out of a bedroom window, to her horror she espied little four year old Frankie up the ladder busily engaged with a large table knife continuing the good work commenced by his Father that morning. “Pruning vine, Mummie!” blithely exclaimed the child with an air of importance! Though almost dropping with fright, Mother restrained her presence of mind and said “Yes, dear.” Then with trembling knees, rushed from the room, along the passage, down the stairs, along another passage to the back door, across the yard and up the ladder, then swiftly grasped the knife and brought the young gardener to terra firma! I do not recollect the foregoing incident, but I do remember having climbed up on the wall surrounding the yard and falling straight down head first on the stone flags, the crown of my head receiving the blow! How this affected my brain in future days I cannot say, but have often wondered. Poor Father and Mother thought they were sure of a long and undisturbed tenancy of this house as Mr. Ayriss had assured them he would not want the place until he retired, but alas! They had not been settled in for more than six months when Ayriss was killed in the hunting field and his widow gave notice that she would, in consequence, require the house for her own occupation. There was nothing to do but seek fresh quarters. The only available accommodation was the larger part of a house in the Market Place, now known as “The Old Post Office”, and thither in due course we moved. The “Old Post Office” is a double fronted house with a store-room or shop at the side, beyond which are, or were, big doors opening on to a wide passage, or drive-in, leading to a yard in which stood a large shed or workshop. On either side of the front door was a sitting room, separated by a passage which led to the back of the house and staircase. A kitchen and pantry were at the end of the passage. The small sitting room to the left of the front door, as also a bedroom upstairs, was occupied by a couple of maiden ladies – we had the rest of the house. There was a door leading from our front sitting room into the store-room, the narrowest door imaginable, just room to squeeze through! The mantelpiece in the sitting room was ornamental with the Greek key pattern and was ever a source of interest. Beyond the yard was a walled garden which seemed to me of some considerable extent. As far as I remember, I was about four years of age when we moved to this house, and it was probably not long after that I was down with scarletina. I distinctly remember being poorly and lying in the cradle! The cradle was, however, a large wooden one with a wooden hood, papered inside with wallpaper and standing on rockers. When I became convalescent brother Allan was allowed to take me out in the sunshine for a little walk up and down the street. He got into rare trouble because he took me into a field – the first Leys – where my shoes got wet! Now why did he take me into the Leys? Because the night before there had been a rare to-do in that field! From the top of the field the ground falls away down to the stream. On the opposite rise stands a large house, then occupied by a gentleman-farmer named Bailey. Mr. Bailey had greatly incensed many of the inhabitants of Berkeley by his part in the prosecution of well-known and popular landlord of one of the town’s hotels, John Carey of the “Berkeley Arms”, and to show their feeling in the matter a big crowd had foregathered and burnt the said Mr. Bailey’s effigy on the highest point of the Leys, opposite to and in full view of Mr. Bailey’s house! Such events were rare, and it was no wonder young Allan had a strong desire to see the ashes!I myself also got a scolding one day because I walked under a big horse standing in the Market Place from one side to the other! I mean, I walked in at the near side of the horse, and out at the off side! It was perhaps somewhat earlier than this when the wife of my Mother’s cousin, Mrs. James Eley of Moreton, near Thornbury, called to see my Mother. Ushered into the sitting room, there was young Frank discovered seated upon the floor close to the coal scuttle, busily engaged in playing with the coal, to the detriment of his nice clean pinafore and frock! The horror of my dear Mother, and the exclamations of the visitor can easily be imagined! Little did either of them think how close the future relationship between the grubby little boy and the smartly dressed lady from Moreton would be. But that was for many years ahead. I mentioned frocks just now. Frocks were then worn by little boys often until they were four or even more years of age. I was crossing the Market Place by myself one day when several little boys of my acquaintance, who had recently been “breached”, jeered at me because I was still wearing a frock! Not long afterwards I came out in my first pair of breeches. What a big step up in life it was! I was now able to take my place as a boy and meet other boys on equal footing. My Father and Mother’s third child, my brother Percy, was born on 1st April 1865. He was a bright, intelligent little fellow, and was a great delight to my Father who, when he returned home of an evening, found much pleasure in nursing and playing with him. Alas! The happiness was short-lived. One day on 7 March 1867, when little Percy was a year and eleven months old, my Mother was sewing by the sitting room window, with Percy standing on his chair by her side. Mother had put her scissors where she thought he could not reach it, but unnoticed by her he managed to get it, over-balanced himself, and fell on the floor, the points of the scissors entered his jugular vein. Instantly he was bleeding profusely. The nearest skilled assistance was a Chemist not many yards away. Someone ran for him, and he tried to stop the bleeding, but could not do so, and before a Doctor could be obtained the poor little child had bled to death. Indeed, had a doctor been on the spot it is doubtful if he could have saved the dear child’s life. This was a great blow to my Mother, and a terrible shock to my Father when he arrived home not long after. I can see now the pathetic funeral procession as it passed round the corner of the Market Place into Marybrook Street on the way to the cemetery. My brother Allan was among the followers but I was too young to go to the funeral. Years afterwards, I used to lie awake at night and wish, oh so much, that I had my brother Percy. Especially was this so when the two years and more by which my brother Allan was older than me, for a time put him beyond me in choice of chums and playmates. Still, Allan and I spent many hours playing together. One summer evening he and I were playing at the top of the garden when we heard the sound of a brass band out in the street coming nearer and nearer. We ran down the garden, through the house and out on to the pavement and discovered that a number of horse-drawn brakes, returning from the Sharpness Pleasure Grounds to Stroud with a large party of trippers, had drawn up in the Market Square for a brief rest. In the front brake was a brass band which was playing the tune “The Girl I Left Behind Me.” The Square was seething with excitement! We ran about and looked on until the party drove off down Canonbury Street. I never heard that tune without the whole scene rising before me. Club Day! Who can describe what the annual recurrence of that day meant to young and old at Berkeley. The first Wednesday in May was devoted to the “March Out” of the Clubs. There were several “Slate Clubs” located at different public houses in the town, the most important being those at the “Berkeley Arms”, the “White Hart” (in High Street), and the “Mariner’s Arms” on the green at the bottom of Salter Street. Headed by a brass band and a beautiful silk banner, each club marched round the town, to the houses of the gentry and to certain farm houses not too far out, in the course of their perambulations calling at the Castle. At the calling places they were regaled with cider and beer, in recognition of which the band played lively music, and the processionists gave hearty cheers. It can be imagined that by the time the men got back to the town some of them found it difficult to keep step! Arrived back at their respective headquarters, members and bandsmen sat down to a good dinner. Such money as was left in the Club funds after paying out sick pay during the year, and expenses of the band and dinner, etc, was shared out to the members. And now to sally forth to the attractions outside! On the previous evening, or early the same morning, a number of the “Standings” had been erected adjoining the pavement around the Market Place. Gingerbread stalls; nut stalls, where you shot a dart at a target to determine how many nuts you had for your penny; stalls laden with all sorts of goods – china, toys, fancy articles, most of them gaudy and highly coloured to catch the eye. There were also Shooting galleries, two or three Whirl-I-go-Rounds – a flat table with a flat metal pointer like a large clock hand balanced in the centre. Various articles were placed around clockwise, just outside the radius of the pointer. For a small sum, threepence or so, you were privileged to spin the pointer, and whichever article the pointer indicated when it stopped became the property of the spinner. Neither my brother or I, alas!, ever had threepence to spend, so we had to amuse ourselves looking on! I don’t think we minded very much, there was such a lot to see and hear without payment! On year a friendly postman gave me a penny! Hurrah! Now to shoot for nuts! I think it was 10 I received! The first excitement of the day was to see which flag came out (that is, was displayed on a pole from an upper window) first – the “Berkeley Arms” or “White Hart.” Usually the former had it. I do not suppose there was any competition about it but we small boys used to speculate eagerly on the question, and run from one street to the other to see. The next was the arrival of the bands. Up which street would the first come? Which Club’s? Then when the first strains of martial music were heard, what a rush to meet the approaching heroes! Sometimes a band would arrive quietly and from an (to us youngsters) unexpected direction. Great was the disappointment! There was one famous band from Tockington which attended for years and years. Stephen Ann was the conductor. The story goes, so my Father used to tell us, that one band included a very conceited man who was a very indifferent player, but thought he was the crack musician of the band. He carried a huge brass instrument, likewise an umbrella in case of rain. One Club Day, early in the morning’s proceedings, a wag pushed the umbrella down the bell mouth of the instrument in the absence of the owner, who went about all day blowing away fit to burst himself, and in between events wondering where he had left his umbrella! One Club morning young Allan was missing! Of course, there was much going on, what with the arrival of the bands, the starting out of the Clubs, the assembling and dressing of the stalls, etc, and there was nothing unusual in small boys being away from home for a few hours, but when dinner time it was natural to enquire “Where is Allan?” “I don’t know, Mother.” “Go out and see if he is about anywhere.” No sign of the missing boy could be seen! It was nearly two o’clock when the music of one of the bands was heard coming up Canonbury Hill. As the procession drew near there was Allan bravely marching along! He had been the round with the Clubs! Not only was the band a great attraction but there was the big silk banner, with a magnificent picture painted on it, depicting goodwill and friendship, and the two men who carried the two poles which held up the cross piece from which the banner was suspended. These men were heroes, their names were passed from mouth to mouth, and the skilful way in which they held aloft their trophy noted and commented upon. Then the Clubmen themselves. Dressed in their best and carrying each a long polished staff surmounted at the top with a beautiful brass spearhead, an ornament which was much prized and handed down for generations. Not long ago, in a cottage near Sharpness, I saw one of these spearheads, a treasured possession. “Yes, my Father carried that for many years on Club Day,” I was told. Smartest among the Clubs, tho’ the smallest, was the Mariners’ Society. The men comprising it were mostly of the seafaring community, Masters and men of the sailing barges who traded between Newport (Mon) and Lydney to Berkeley with coal, getting to Berkeley from the River Severn up Berkeley Pill, taking away bricks. The Mariners marched dressed in blue jerseys and white duck trousers with sailor hats, and altogether looked attractive and romantic. As darkness came on, the standings were lighted up with flaring lamps. What with the mysterious lights and shadows, the shouts of the vendors, the ‘pop’, ‘pop’ of the guns, and the laughter and gaiety of the crowd, an impression was left which held good until the next year’s Club Day. For was this not the great day of the year, when everybody met on equal footing, no consideration of position or rank obtruding itself, the great idea being to have a jolly time – or so it appeared to us children who knew nothing about the discussions, the planning, the necessary financial arrangements, all these things involved! When I was a small boy there was a confectioner’s shop in the High Street kept by a Mr. James Oliver, who, I understood from my Father, came from Wotton-under-Edge with a standing on Club Day, and having the opportunity took the said shop, and for many years until he died, carried on a baking, confectionary and sweet business. I never heard Mr. Oliver called by another name than Jimmy Oliver, yet he was a portly, dignified, little man, very proud of his wife, who was a tall, fine, upstanding woman, whom he dressed not perhaps gaudily, but well, in silks and satins, and whom he used to take out walking on Sunday afternoons, or rather he always walked a few yards in the rear, gazing with admiration at his wife’s massive and expansive back! Not that she was of a dominant spirit. She always seemed of a kindly disposition. As a small boy I used to gaze up at their shop window at some large glass jars, in which were displayed tiny sweets, known as “Hundreds and Thousands”, set in exactly shaped diamond patterns of various colours. How these could be thus so perfectly arranged defied elucidation, but great store must have been put upon them, for they were still there sixty years after – apparently undisturbed! Behind the shop was a small sitting room opening on to a tiny yard, across which was the bakehouse. On a table in the sitting room stood a parrot cage in which was a large grey parrot, so placed that it could see the shop door. Mr. And Mrs. Oliver would be busy in the bakehouse, leaving no-one to look after the shop, but whenever the shop door opened the parrot immediately cried out in a loud voice “Shop!” One or other then left the baking to attend to the customer. Amongst the wares they sold were two great favourites – Jimmy Oliver’s three-halfpenny currant rolls and his “leather” tarts! The former were good and large, bigger than you get now for double the price, in fact as a schoolboy I have made a dinner off one of them and been satisfied. The latter was a kind of tart with a rather tough pastry top and bottom and around the rim a thin treacly syrup ran. The whole was tasty and something to chew! My Father told me that on one occasion a “Forester’s” Fete was held at Berkeley. Jimmy Oliver was a member of the Guild and to celebrate the Gala Day suspended a large bun from over the centre of his doorway, which was free to anyone who cared to bite it down! A young farm labourer came along, and attracted by the bonne bouche dragged it down with a huge bite, but unexpectedly with it came a bag of flour which scattered over the worthy fellow’s best broadcloth. This passed for a good joke in those days, and was received good-humouredly, but I am not sure how it would be tolerated these days! A celebrated shop near our house was “Mother Aclands.” A small old fashioned square window with tiny panes, inside of which were displayed bulls-eyes, marbles, tops and other delights. But the best black peppermint sweets, to our minds, were sold by a woman up Frying Pan Alley, who made them herself. Frying Pan Alley was a dark, dirty, old hole, but who cared for that! Certainly one had to hurry out, for sometimes mysteriously undesirable characters were said to be seen there, and they might have you! However, I risked that on one occasion to my certain knowledge. Periodically a Cheese Market was held in Berkeley. There was a Market house in the centre of the town looking out on the Market Place. Supported on stone pillars, the openings between which were filled with iron railings and gates. The Gates were thrown open on Market Days, quantities of straw thrown down on the stone flooring, and the cheese was pitched on the straw. Usually so much cheese was brought that it overflowed on to the pavement outside. Thin cheese, double Gloucester, white cheese, red cheese, yellow cheese, how rich and mellow it smelled! How we youngsters envied the fortunate individuals who possessed a cheese scoop and were audacious enough to dig into a fat cheese, and with a twist bring out a tempting morsel! The inside end of this was broken off and conveyed to the mouth, to be solemnly chewed, while the rind was replaced in the cheese to keep out the air. I recalled that in the same Market house I saw the last of the old hustlings for parliamentary election, when I accompanied my Father, who cried to the Presiding Officer the name of the candidate (or candidates) he voted for. I remember there were several persons seated beyond the barrier. Over the Market House was the Town Hall, of which more later on. The ground floor has long been fully enclosed and converted into a reading room, library, etc. Before this the Market had ceased to exist. When I was about four and a half years old I had my first outing and met one who was destined to have a great influence on my life, the paramount influence. My Mother’s Mother, my maternal grandmother, had become a widow before I was born. In the early summer of 1867 she had to go to Thornbury on some business connected with her husband’s estate, about which she had to consult her solicitor, I believe. Having to hire a trap, a dogcart, to take her to Thornbury and back, she asked my Mother to accompany her. My Mother took me, and I have very vivid recollections of the event. We drove via Hill. I know this because I remember some white railings alongside the road that branched off from our road where it led up to Bevington. At Moreton we saw the Maypole, where a few days before there had been Mayday revels. In Thornbury we went to the house of Mr. Vaughan, the Chemist, at the corner house looking out on The Plain, where was the Town Pump, from which the inhabitants of surrounding houses were continually fetching buckets of water. This seemed to me to be very queer. After we left Thornbury on the return journey we drove through Moreton in order to call on my Mother’s cousin, who was a farmer there. To get to his farm we turned down a lane and the farm house stood back from the lane. A large pool with a big horse-chestnut tree towering over it was on the same side, and just beyond the pool was the garden gate opening on to a path which led up through the front garden to the front door. Having been ushered in we found the cousin’s wife (the same lady who some time before called on us at Berkeley, and found me playing with the coal) engaged in nursing her baby. She was sitting near the centre of the room to the right of the front door as you entered and was facing the window. Presently I was sent out to play with my cousins (second cousins). These were two little girls, one aged about three and a half, the other not much over two. They were playing on the right hand side of the house as you faced it, under, in and out of a very high, thick, box hedge. What fun it was! I did not go there again until I had been married some thirty five years, but on my honeymoon I correctly described to my dear wife the lane, the pool, the tree, the garden gate, path up to the house, the box hedge, and my playing with the two little girls. She did not remember my visit, it was not to be expected, but the fact remains that she was the younger of the two little girls, her sister Florrie the elder, while her brother Shield was the baby in arms! What I cannot claim is that I then and there fell in love with her – it would be splendid if I could – and determined one day to make her my wife, but I claim that she and her sister are the first girls I remember! How I came to meet her again belongs to later days and will be told later. The next outing I remember was Mother taking Allan and me to Gloucester to stay a few days with Uncle Edward, Mother’s brother. We took the bus to Berkeley Road, then train to Gloucester. Leaving Allan and me on a seat on the “Gloucester” side, my Mother went back to the other side to get the tickets. Before she could return an express train from Bristol was heard rushing up the line. Poor Mother instantly pictured her little boys getting up off the seat and toddling towards the line. She assayed to run over the crossing to her children, but as this would have probably involved her being knocked down by the train, she was forcibly held back by a porter who saw her design. She had just time to shout to us to sit still when the train went thundering past. We sat tight but the scare of the monster set my poor little legs swinging backwards and forwards. Allan’s superior age kept him steady and firm! Mother’s joy at finding us safe was great. During our stay in Gloucester Uncle Edward held me up in his arms to see the (I think) Police Band march past On another occasion going by train to Gloucester a woman got in at Coaley Junction and announced to the occupants of our compartment that “Charles Dickens is dead.” (Dickens died on 9 June 1870). I am not sure whether that was the time, or later, when we were going by train to Gloucester, a Mrs. Critchley and her husband, well known at Berkeley, got in at Berkeley Road. When the time came for inspection of tickets the lady produced her ticket but her husband had not one. “Henry, I gave you the money for your ticket.” “Well, I haven’t got one.” In the end she had to pay for him. The fact was he was a confirmed drinker, had taken money from her, and instead of buying his ticket had gone to the “Prince of Wales” and spent it on drink. I was much impressed by the man’s disreputable action. The same couple, I learnt in later years, had been married eighteen years before their first, and only, child was born (a girl). The latter never married and the last I heard of her she was keeping a boarding house at Bournemouth. A gentleman I knew at Sharpness told me he was accustomed to stay at her establishment and that she was a very nice person. So was her Mother, too good for such a husband as she had. One day, either because Mother was unwell, or had gone out for the day, I was sent to school with brother Allan. He had some time previously started school at a “Dames” School kept by a Mrs. Copeland in the High Street. The old lady sat on a raised platform at one end of a large room with a very long stick in her hand. It seemed to me that the stick reached quite half way down the room, and woe betide anyone talking or otherwise misbehaving! Her daughter, Miss Copeland, did the teaching. The lady of the big stick kept order! I only went there that one day, in fact I did not go again to school until I was seven years old as I was rather a delicate child. It must have been when I was not very well that one morning before I was out of bed Father brought me up some castor oil in a cup of tea! I could not get it down and have never since been able to take any castor oil! The presence of other people in part of the house was a great trouble to us all. They would stay up late and come noisily to bed. During the day, with Father away at Sharpness, Mother was constantly annoyed in various ways. What made it difficult to complain was that the owner of the house was the brother of the two women who occupied the other rooms. Therefore, all the time Father and Mother were on the look-out for another house, and at last they were able to rent one in Salter Street, about the size they required. To this we removed. I believe we moved in the autumn before my seventh birthday. That winter the drains in the Market Place were “up.” I remember jumping over the open trench from which a certain amount of effluvia was escaping. It was a pity I did this, for whether from that or from the smell from an open foul ditch, a cess pool, at the bottom of our garden, or from picking up germs otherwise, I was not long after laid up with typhoid fever. The disease was very prevalent at the time in Berkeley. A little playfellow of mine, Johnny Bell, son of Bell the Chemist (of whom more anon) was taken with the same complaint and died whilst I was ill. I have it in my head that he was with me that cold day when I jumped over the open drain and that he also jumped over. I was not told of his death until after my recovery as the shock might have retarded my progress. I was unconscious for a week, and when just coming round, the nurse who came to attend me, and the Doctor’s sister, Miss Bridgman, who was awfully kind and at great risk went round to help with the fever patients, were both by my bedside. “Do you know who we are?” one of them asked. “Yes, you are Mrs. Mackintosh and the other is Miss Mallett,” I replied. Whereat they laughed, for they were neither! Only the one was well proportioned and the other thin, which was true of Mrs. Mackintosh and Miss Mallett! After this I rapidly regained consciousness and made headway. I had very bitter medicine to take, but never shirked it and always kept it down until one day when the nurse had given me yolk of egg on thin bread and butter, when it all came back! Soon, however, I felt I was strong enough to get out of bed, and said I was sure I could walk across the room. But when I tried, two steps were enough and I should have fallen had I not clutched hold of the bottom of the bedstead! After a day or two I was helped downstairs, and carried in a chair out into the sunshine in the garden. Oh, how lovely to be outdoors again! At the same time that I was ill the Prince of Wales (later King Edward VII) was ill with the same complaint. On his recovery there was a great service of Thanksgiving in St Paul’s Cathedral, attended by Queen Victoria and the Royal Family. But I am sure Queen Victoria was not more delighted at her son’s recovery than my Father and Mother were at home. Poor Father and Mother, it was a great strain upon them, physically and mentally, as well as financially. Somewhere about that time my Mother’s aunt, Miss Sarah Eley, died at Coombe Terrace, Wotton-under-Edge, and left money, £500 each to her two brothers (nephews???) falling then to their children. Her brother (nephew???) having died the money went to the children. My mother was one of twelve children, of whom two were dead, leaving ten to share her father’s (James Eley’s) £500, consequently she received £50. Incidentally, the other brother (nephew??? ), Thomas Eley, had only two children of whom the younger, James, was the husband of the lady before mentioned who lived at Moreton. James was, of course, first cousin to my mother. As this James and his brother were the sole children they equally shared their Father’s £500, and therefore each had £250. There were so many calls for the money that instead of the £50 being put in the Bank the golden sovereigns were placed in a drawer – I saw it put in the top right hand one of the chest of drawers in Mother’s and Father’s room, – and used as required. It had long been my Mother’s ambition to have a black silk dress, a good one, one of those that would almost stand up by itself! With the advent of this legacy the opportunity came. In order that I might recuperate from my illness, Mother was invited to take me to Cheltenham to stay with her sister, my Aunt Emily, who was employed at Lances, the big Drapers, etc, and who lived somewhere on the outskirts of Cheltenham. We went to Lance’s shop, where I amused the young ladies in the showroom by picking up pins off the carpeted floor, and there Mother bought the silk for her dress, giving ten shillings a yard for it. We went one day to the Montpellier Gardens and saw the swans on the lake. Another day, Aunt Emily’s “young man”, Mr. George Greening, took us all, Aunt Emily, Mother and I, for a drive. We went past the “Rising Sun” so must have gone on Cleeve Hill. Cheltenham lay at our feet and the hill seemed to fall away so steeply that I wondered what would happen if the horse ran away and we toppled over! I have never since seen these lines in print so rely solely on memory but I have ever felt grateful to whoever set this for me to learn, as the sentiments therein expressed became my fixed resolve and have been carried out to my lasting benefit, and, I hope, to all my family. Total abstinence was not so tolerated then as now. It was probably nearly a quarter of a century later that I learnt from Mr. Robinson that the Brewers’ party in the town were so incensed at the demonstration on behalf of total abstinence that there were fears that an attempt would be made to break up our little juvenile procession, and that to guard against this special precautions, unknown to us children, were taken to protect us. Nothing untoward happened and the Hall was filled with an appreciative audience of parents and others. One of the enterprises of the Band of Hope was a Drum and Fife Band, which I was permitted to join, my instrument being the triangle! After it had attained a certain amount of proficiency various times were spent in “Marching Out.” In the summer we played at the Union Chapel Sunday School Treat which was held at “Walgaston”, the farm residence at Mobley of Mr. Thomas Bailey. Tea was partaken on the lawn. During the tea the band played selections which necessitated our not sitting down to the meal with the other boys of our age, but having tea afterwards all by ourselves. We felt we had earned it. One summer evening during a March Out we were caught in a storm of rain. Most of the boys’ parents thought lightly of it, but in view of my being somewhat delicate my Father and Mother felt it was undesirable I should be exposed to risk, so I had to reluctantly resign my instrument. The question of smoking is perhaps not taken so seriously as that of drinking intoxicants, but when I was in early manhood I was deeply impressed and pained to hear that my old Band of Hope Superintendent, Mr. Robinson, had died of cancer of the throat brought on, so it was thought, by excessive smoking. This made no difference to my habits in this respect because I was a confirmed Non-smoker, but it was saddening to know that he who had been instrumental in causing many to avoid drink should have become the slave and victim of nicotine. One of my delights of winter evenings was to kneel up in the window seats of our little sitting room as dusk approached, and watch for the lamplighter to go down the street. He was a man with one arm withered and sticking out at an awkward angle, yet he managed to carry his ladder and implements for lighting the gas lamps and perform his duties with satisfaction. Mother and Allan and I would keep a look out to see who would be first to catch the sight of the first lamp. We could see three from our window. “There it is!” we would exclaim. “There’s the second.” “There’s the third.” How exciting it was. Then the blind was lowered, our gaslight was lighted and we settled down for the evening’s occupation. We played with bricks, or looked at picture books, or had games of hiding small articles, etc. On Sunday evenings we were privileged to look at bound volumes of “The Illustrated London News” for 1851. That was the year of the Great Exhibition. My Father went up to London to see it, and all that year took in the aforesaid weekly paper and had them bound in two volumes. What splendid books they were! Now, alas, long gone the way of many others… I can see the pictures now, the wonderful Crystal Palace in building, the soldiers marching round the galleries to test them, the trees over which some parts of the building were erected, the scenes of the opening ceremony with Queen Victoria and Prince Albert, with the little Prince and Princess and many ladies and gentlemen dressed in the fashion of the time, pacing up the grand nave. How we feasted and feasted on these and many other pictures. “Derby Day” with its crowd of coaches and miscellaneous conglomeration of conveyances making for Epsom; the Norfolk Giant; scenes from the French Revolution, these stand out prominently. About this time Allan was the hero of a number of adventures. One day he was walking along the street when he saw Dr. Bridgman’s great Newfoundland dog running up the street at a great pace towards him. The poor little chap thought nothing could prevent his being knocked down. The dog was going at too big a speed apparently to stop himself, but he did the next best thing, he jumped right over Allan’s head. Allan, however, in his fright fell right over! On another occasion Allan was playing in the first Leys with other boys when a big gander jumped at him and, snatching off his cap, flew away with it and dropped it in the middle of a pond! School days arrived at last. I was sent to a private school kept in the Salter Street by a Mr. Mason, a kind hearted man, and one of the cleanest men I ever knew. I will remember his taking me between his knees and teaching me the time by his watch. The schoolroom was a large room upstairs at the back of the house. We were admitted by the front door, the only way in, along a passage and into a courtyard, whence we climbed up wooden steps into the schoolroom. Against the back of the house was a vine which bore delicious black grapes. When they were ripe, on one unannounced day, on arrival at school we found someone standing just outside the passage door, with a dish of grapes held in front of him, and each boy was given a bunch of grapes. One afternoon, one of my chums, John Fear, brought a boy cousin to school. The cousin was visiting the Fear’s, and had previously made his acquaintance, which turned out to my advantage! The little laddie was of weak intellect and he amused himself during the afternoon knocking on the heads all the boys except John Fear and myself, we being favoured because he knew us! After a time Mr. Mason was appointed to the mastership of the Berkeley Free School in Marybrook Street, with residence attached. He took his paying pupils with him, and these (which included myself) sat at one end of the room while the “Free” scholars sat at the other. So far as I remember we all did the same kind of work, the only difference being that the free scholars occasionally got a whacking while we did not! There were two things I envied Mr. Mason, one was his beautiful clean finger nails and the other his pen, the holder of which was a porcupine quill. Next to me usually sat a boy named Harry Everett, of Wanswell, whose Mother caused him to wear thick flannel shirts which made his back burn and itch. Many a time at school he would get me to put my hand inside the shirt, and rub his back to ease the irritation. One day, during play-time, a free boy put a bent pin on a seat and Harry had the misfortune to be the one to sit on it. Poor chap, he was very ill from the effects, with the Doctor in attendance, and we were all, at any rate we paying pupils, were very indignant at the outrage. There was a small playground at the back of the school, overlooked by the back bedroom windows of some cottages. Out of one of these windows would sometimes lean a small, wizened looking boy, perhaps 14 or 15 years of age, son of a chimney sweep. He was usually smoking a pipe, and it was a common belief amongst us that this was the reason why he was so small. The Free School was maintained by the interest on monies bequeathed years before to provide free education for a certain number of poor boys of the parish. There was no national free education in those days, but there had been, and were being, established in some places Board Schools, and in other schools provided by local magnates and authorities with Government inspection, and grants, at which small fees, 2d or 3d a week per scholar, were charged to parents who sent their children thither. Such a school had been built at Berkeley by Earl Fitzhardinge, which superseded a “British School” held in the Town Hall. Many parents considered the education given at the Fitzhardinge School was in advance of that obtainable from the system at Mr. Mason’s private school. Friends who had boys attending the Fitzhardinge School urged my parents to remove Allan and me thither, and at last they decided to do so, though very reluctantly because Mr. Mason was a really kind man, and did his best according to his ability. I was over ten years of age when I went to the Fitzhardinge School, at which I had to pay 3d per week, (Allan too). The school, situated on Canonbury Street, consisted of a ground floor and a room above, The girls occupied the front portion of the ground floor, with a room for the infants at the rear. The boys had the upstairs room, access to which was obtained by going through the yard in front of the school, along a passage (which could be closed by a tall iron gate) into the boy’s yard at the back, then up a flight of stone steps which led direct into the schoolroom, which was lined with pegs just behind the forms, on which the scholars hung their hats, coats, satchels, etc. There was only one room for all the standards from St I to St VI or VII. And only one Master with a Pupil Teacher. The bigger boys in rotation used to be drafted off in turn to take St. I boys. Some were keen on this because there was pay for it! The allowance worked out at not quite a halfpenny per session, so that if you had taken, say, two mornings and three afternoons, making in all five sessions, you would get not two pence halfpenny to which you thought you were entitled but only two pence! Goodness knows what cheeseparing prevented a full two pence halfpenny being paid! Now I come to think of it I believe it had something to do with a small payment to the boy who might be told off to “keep the gate”, i.e. who saw that the boys who stayed to dinner did not leave the yard unauthorised. Usually if a boy wanted to leave, he asked permission of the Head Teacher before the latter left after morning school. Generally this was a case where a boy wanted to go out to buy his dinner, e.g. on more than one occasion, after we had gone to live in Sharpness and for some reason I had not been able to take dinner from home, I had gone to buy one of “Jimmy Oliver’s” penny halfpenny currant rolls, which made a good and satisfying dinner, washed down by a drink of water from the pump. There was one pump between the girl’s yard and ours with a handle on each side, no other facility for drinking or washing your hands. You put your hand to your mouth of the pump and put your mouth down and drank, or caught a little in your hand and conveyed it to your mouth. You pleased yourself whether you washed, that is swilled your hands first! No cups provided! The sanitary arrangements were – well, most insanitary. One never used the major establishment if one could possibly avoid it. I am speaking, of course, as things were then, 60 years ago, not as they are now. Mr. Moss was universally recognised as a very good schoolmaster and the school did well under him. He was very strict, and did not hesitate to use the cane, as was necessary with a large number of boys, possibly about 120, under his care. At the same time he was very fair, and we all respected him. He did not flog, except for serious offences or persistent insubordination. The usual punishment was a swipe across the palm of your hand with a small cane. I only had one stroke of the cane, the only one I ever did have, and that was soon after I started to go to the Fitzhardinge School and before I had settled down to the discipline, which was so much stricter than that to which I had been accustomed. I don’t give this as an excuse, only as an explanation. We were having reading lesson, each one following on where the previous one left off. For some reason the class was very inattentive, about the third boy did not know his place where to read, I was a long way down the list and never dreamed my turn to read would come without my knowing where to read! Boy after boy failed to take up the thread, and at last I too was unable to do so! We all had a swipe across the hand, and the whole class was made to change places with the little boys of Standard I and sit on their low benches! The justice of the punishment was recognized by all. I do not know what the others thought, but I resolved “Never again.” I don’t say I never again deserved it! One day a boy was called out for some offence which he probably knew meant the cane. He was a big hulking fellow, without much brain, and he refused to leave his seat. After two or three commands had been sullenly disobeyed the Master approached to fetch him out forcibly. He was about the biggest boy in the school, though far removed from the top and he resisted strenuously. In the struggle the foolish boy caught hold of the master’s jet watch chain, which was broken and flew into a score of pieces. With a superhuman effort the Master dragged him out from between the desks, laid him across one of them, and gave him the soundest whacking I have ever seen a boy receive! It was not, however, all cane. I remember one morning how quietly and impressively Mr. Moss talked with us after a complaint that some unknown boys had ill treated some young ducks on the pond. The School was a “Church” school, and on Saints’ Days the scholars were marched through the town to attend Divine Service at the Church. But the parents who were non-conformists could object to their children going to Church and these were left in the school to do lessons. Allan and I were among those left, perhaps a dozen of us, for not many parents cared, or troubled, to object. We were under the care of the Pupil teacher, Albert Baldwin, and we had a good time, for Albert had not long ceased to be a scholar in the school and we could hardly look on him as a Master! When I first went to the Fitzhardinge School I was put in the fourth standard. A few months after I was, with the rest of the Standard IV boys, put up into Standard V. It would have been better if I had gone to that school earlier and so received a good grounding in the earlier work. Position mainly depended upon arithmetic. Fortunately, I was fairly quick in relation to figures, so was able to maintain my standing. In tests of mental arithmetic I was usually second or third, and before I left the school at fourteen and a half I had got a good way beyond the school curriculum, and was doing special work, advanced algebra and Euclid. It was a pity I could not go on to higher education. But who knows? I was not particularly good at drawing, but I managed to get a “Science and Art” prize for model drawing – a box of paints. I liked scale drawing very much. I did not have much practice in Essay writing but I remember being rather successful in a description of the branch railway from Berkeley Road to Sharpness, which was then in course of construction. My interest in Bible History and story was greatly aroused by the voluntary Bible lessons given us older boys by Miss Stackhouse, the sister of the then Vicar of Berkeley. Short, plain of feature, she had an attractive voice and manner. She illustrated her lessons with chalk drawn maps on the blackboard, which made them very illuminative to me. I always liked maps and still do. It was fascinating to find out where places were. We greatly feared Inspection Days! This was partly because we were told it was to be a great test of our work; of the uncertainty of the questions we should have to answer, and the awe inspired by the Inspectors themselves. What a pity, instead of setting us all the same hard questions, as it may just happen, or something we knew nothing about, we were not told, say, “Do the very hardest sum you know” or “Write down the things you see on the way to school and what you know about them”, or “Draw the best thing you have ever done” etc. But this list of puzzling questions to be done in a certain time, and so much time wasted in finding out the meaning of the questions, how nervous and ignorant it made us feel! And yet we see George Clark, our top boy, has already begun his answers. We must get started, too, so here goes! Some of the Inspectors were kind enough and quickly put us at our ease. It is a gift. If the Master left the room, as he did sometimes to consult with Mistress downstairs, what a hum of conversation arose! Woe betide those who were caught when the Master suddenly opened the door on his return. It was a matter of great interest if anyone called during school hours to see the Master, which was not often. Occasionally the Vicar, who was the Official correspondent, did so, and, very rarely, a stranger. Next door to the school, on the town side, was the residence (and still is) of Earl Fitzhardinge’s head gardener. (Of course, it is Earl Berkeley now). Part of the Castle gardens adjoined the schoolyard. One autumn day when we were at play in the yard a voice over the wall said “Look out”, and over came big luscious pears slightly “pecked”. What a scramble! The girls’ entrance door was in the centre of the downstairs school front, opening from a sloping yard in front of the school. We boys had to pass through this yard from the one gate to our passage at one corner of the yard , and vice versa. One afternoon we boys came running down the passage after dismissal. I was the leading boy and going at a good pace. Just at that moment one of the girls ran across the entrance to the passage. I could not help colliding with her and as she fell I went clean over her head! We both picked ourselves up, somewhat shaken and afflicted with gravel rash. Fortunately, neither of us was really injured. Perhaps the most stirring adventure I had at school occurred as follows: School began in the morning with prayers. Grace was said at close of morning school and prayers again to finish up the afternoon. It occasionally happened that the Master (Dicky Moss we used to call him, his real name was curiously Amos Moss) forgot the prayers at close of school, when some silly boy would be sure to put his hand up and say “Please, Sir, you haven’t said prayers”. And usually this would be when we were late and wanting to get home. But one Friday afternoon the prayers were really forgotten. However, just as the leading boy and I (who was second) had got outside the school door, there was a cry of “Halt” from the Master’s desk at the far end of the schoolroom. We two were out of school, and so went on down the steps while the others were marched back for prayers. We trundled along the passage and into the front yard, making for the front gate, but just as we were congratulating ourselves on our escape, and as I had a three mile walk home the extra few minutes were a consideration, a window was thrown open and a voice said “You have to come back.” We did so, but on getting to the top of the stairs we found that prayers were in progress so we could not enter. It seemed useless to wait on the doormat for nothing so we made our way down the stairs again and off home. When we got to school on Monday morning we were told by our schoolmates that dire punishment awaited us because we did not go back. The morning passed quietly enough, and we never heard anything about our misdemeanour. I suppose nobody reminded the Master about that. When I was between twelve and thirteen – to be precise, on 29 September 1875 – we went to live at Sharpness (of which more anon). Part of the time I went to school after we went to live at Sharpness, my Father and Mother arranged that I should lodge at Berkeley from Monday to Friday at the home of Mr. And Mrs. Alfred Merrett. Mr. Merrett was a shoemaker and also a postman who went to Sharpness twice a day delivering and collecting letters. I took or bought my own food which Mrs. Merrett cooked as necessary. She gave me vegetables and, if they were having any, a share of pudding. I shared a bed with their son, who was rather older than me. Mrs. Merrett was a good sort, though she bossed her husband a bit! She looked after me very well, although she did not make a fortune out of me for she only charged me 1/6d a week! She said she was glad for her boy (an only child) to have company. Evenings, after dark, he and I would play draughts by the hour. Life in Berkeley was not without adventure for young people in those quiet times. The five years or so spent in the home in Salter Street were crowded with interesting events. There was the arrival of my three sisters – Grace Emily, born on 22 January 1868 (she helped fill the gap caused by the tragic death of little Percy. She was a lovely child with a mass of golden hair which later grew down below her waist); Alice Maud Mary, born 28 May 1871; and Kate Millicent, born 24 May 1874. Both the latter were born on a Whit Sunday. As a family we were attached to the Union Chapel, Berkeley. I remember attending the infant class where we were taught words made by the assembling of single letters which were made to slide into place on the inside of the lid of the box containing them. The infant class was held in the vestry, which was then a large room at the rear of the Chapel, since then pulled down to make way for a schoolroom and a small vestry, etc. Years after, when I was a grown man, I heard that the Infant Teacher who taught me as a child, had enquired after me. Alas, I have forgotten her name, and my stay in the Infant class is but a faint memory. One teacher remains outstanding, a Mr. King, a blacksmith – a big, brawny man, but so gentle and kind and of so impressive a manner. Another teacher in whose class I was for a time, brought his printed lesson book to school and read the lesson notes to us. I thought nothing of him as a teacher. I envied my brother who was in the Senior boys’ class, taught by the minister at that time, a Mr. Robinson. The Rev. Robinson came to our house to tea one day. He was a very jolly man of early middle age, and fond of a joke. I had developed a big appetite after my illness (typhoid) and Mr. Robinson said, “Why, Frankie, where ever do you put it all?” To which I promptly replied “In a bag, Sir.” The way he threw back his head and roared with laughter was a sight to see. The evening before the Summer Treat was a busy one. The banners were got out and prepared for the march to the field next day. A number of the scholars would bring flowers with which to decorate the banner poles. One gentle lady who lived at the bottom of Salter Street always gave to the children who called for them, for this purpose, a handful of fine marigolds. Ever after Treat Day called up the vision and smell of marigolds. Although I could run quickly someone always run faster, so I never won a race at a Sunday School Treat, but, as I have before related, I did play (the triangle) in the Drum and Fife Band which headed the Treat procession, and played during tea time one year. This was vastly superior to winning a race! My two great chums were Will Ayliffe and John Fear. On the evening before one Treat Day they two had taken Mr. Fear’s horse to its field at Mobley, riding bare back one behind the other. Just outside the field was a pool. The horse was thirsty and walked into the pool to take a drink. When it put its head down to drink the two boys were promptly precipitated down over its inclined neck into the pool! Mr. Fear (Benjamin) was a brewer and cooper, with premises in Canonbury Street, just at the top of Canonbury Hill, and next to the first Leys. Many a game we boys had playing hide and seek amongst the mash tubs and cooling vats. In the yard was a saw pit. It was interesting to watch the trunks of elm (oak?) trees being sawn through with the two big manual saws. One man on top keeping his eye on the chalk mark along which guided the saw as he worked, the other down in the pit pulling and pushing the saw in time with the man on top, while the pungent sawdust streamed down all over and around him. Incidentally, a big toad lived down in the pit but we did not take much account of that, though we saw it sometimes when we got down in the pit, as we often did. The sawn planks, when seasoned, were used for making barrels for beer, cider, etc. This was quite a business, the planing and shaping of the staves, their boiling or steaming to enable them to be bent to shape, the fitting of the bottom and head. Between each stave and its neighbour was placed a dried rush to make the joint watertight. Then rushes were gathered green in the stream called the “Little Avon”, which runs past the Castle meadows into Berkeley Pill, then dried for use. One Saturday morning John Fear and I went to fetch their horse from its field the other side of Ladymead (site of Berkeley Station). It took us a long time to catch the horse, but at last we got the halter on him and led him to the gate where we mounted his bare back, John in front, holding on to the halter, I behind holding on to John! When we got out into the road John whacked the horse with the end of the halter, and off we went galloping up the hill as hard as the horse would go. When nearly to the top of the hill we met Mr. Fear coming down to look for us, but we were going too fast to stop and only slowed down when we turned into their yard after a good half-mile’s gallop, and then the frisky animal would turn up the garden path and nearly scraped us off his back passing under a rose arch! Another day, John Fear, Will Ayliffe and I went with Mr. Fear’s man in their crank-axle cart on his round delivering casks of beer. When about three miles from home, ascending a steep hill on the return journey, we boys got out to ease the horse. As soon as we got to the top of the hill John ran ahead of us, jumped into the cart and told the man to whip up the horse before we could catch up. We were a bit too quick for him, however. With a spurt we just managed to clutch the back of the cart as the horse plunged forward. Down the hill we raced, our legs going nineteen to the dozen as we hung on like grim death. To have let go know would have meant falling heavily in the road, perhaps to our hurt and certainly a three mile trudge home. Gradually, by dint of great efforts, we got our feet off the ground, then bit by bit pulled ourselves up over the tailboard into the cart. I don’t think Will and I thought so well of John after that. Strange to say, John eventually went to sea, got a job on a farm in Australia, and was killed by falling from a horse-drawn vehicle. He had five sisters and three brothers – Florrie, Polly, Emmie, Nellie, Edith, Frank, Charlie, Willie. These, with the Ayliffe family, were my principal companions. Mr. And Mr. Ayliffe also had a large family – Bessie, Louie, Emma, Rose, Annie, Bell, Edith, Will. Our Fathers and Mothers were all connected with Union Chapel, and all friendly and called on one another, occasionally for tea, and each, especially the Fears, invited the other’s children to a party in the winter, when we had rare fun. “Bogey in the Wall”, “Sally, Sally Walters”, were two favourite games, with “Snap” and other table games. The Ayliffes lived opposite us in Salter Street, and best of all they had a large garden with a grass plot, down towards the bottom of which were respectively three apple trees and a pear tree. Here we youngsters spent many happy hours, playing shop, tag, puss in the corner, having swings, etc. Over the hedge was a small orchard belonging to a nice lady next door. The orchard could not be seen from the house. Once or twice we swung on the Ayliffes’ swing, then when high up let go and flew off right over the hedge, landing on the turf in the orchard, hastily picking up from the ground a fallen apple if there was one, then scrambling back through the hedge! Of course, we might have broken our necks, or our legs, but that did not enter into our calculations. On Saturday morning Ayliffe and I were down the garden. Mr. Ayliffe had engaged a poor old man named Job somebody-or-other to dig the garden. Will and I were at a loose end, very foolishly and wickedly thought we would find our fun by tormenting poor old Job. So we called out “Job the patient man.” “Job, Job, the patient man.” Job justified his name for some little time, then as we continued our taunts he suddenly stopped digging and made for us! As we ran he threw his spade at us. We now saw that it was a serious case, and that we should be lucky if we escaped with whole skins, so we shined up one of the apple trees, and there we had to stay till Job went home for his dinner. Which served us jolly well right, especially as there were no apples just then. Further down the garden, on the other side, was a pig-sty which had not so long been inhabited; at any rate, behind the pig-sty was a very foul ditch, and in “follow my leader” we had to cross the plank to show our skill. That it needed some skill, or care, was proved by my one day slipping one leg off the plank into the odorous ditch! I was sorry that Mother had such unpleasant washing. On Saturday mornings Allan and I had to clean the knives, each doing it every other Saturday. What a laborious task that seemed. In the summer we would do it outside. One morning I sat down on the pumpstone which was between our yard and that of the house next door. Presently, out came the little old woman next door. “Well, I never saw such a lazy way of doing things in all my life,” she exclaimed. I could not see what difference it made whether you sat down or stood up, so long as you did the work. She was an old-fashioned little dame, with a big, tall husband and a grown-up son, both of whom she ruled absolutely. She was, however, a quiet, respectable person and “ordered her household in peace.” Whenever Mother went to Bristol she used to get her to buy her a new “Front”, a nice shade of brown. These were worn by elderly ladies of old-fashioned type under the front age of the cap (a usual covering for the head at that time, even for middle-aged ladies) to hide the grey hair! As Allan became old enough he had to chop the wood for the fires. One day he chopped his thumb with the axe so I had to do it until his thumb healed. His thumb got better but he never took to the wood chopping again! One day Mother was prostrate in bed with a sick headache. “All right Mother, I’ll get the tea,” I said, and when the time came proceeded to lay the cloth and set out the tea things. Alas! When carrying a tray loaded with plates, cups and saucers, etc, from the pantry I reached the sitting room to fin the latter shut. I rested the edge of the tray on the rim of the lock and turned the handle of the door with one hand while holding the tray with the other. The weight and push of the loaded tray made the door spring open inwards before I could return my other hand to the tray. Down went the tray and crockery with a crash and smash right underneath Mother’s bedroom. It was a very grieved and distressed little boy who crept up to his Mother’s bedroom to beg her not to upset herself, and not to attempt to get up. One of the excitements after tea was listening for Father’s footsteps. Many people passed down the street, but no-one had his quick, sharp step. At last, “here he is!” and a rush to see who would open the door. For twenty five years he walked backwards and forwards to Sharpness every day in all winds and weathers. He was there punctually at nine each morning and so regular was he that in houses where he passed people set their clocks by him! Whilst we lived in Salter Street an epidemic of Smallpox broke out in the district, and many people were re-vaccinated. One of my sisters was a baby and was vaccinated in the ordinary course and her arm “took” beautifully. One of the Ayliffe girls, quite a young woman, came in, as they often did. Talking about smallpox, she said she would like to be re-vaccinated but she hated going to the doctor. “I will vaccinate you,” said my Mother, “Roll up your sleeve.” Thereupon she took a needle, scratched the girl’s arm in two or three places, removed some of the pus from our baby’s arm and smeared it on the scratched spots! The process was a complete success! Even the doctors in those days used the matter from one child to vaccinate another, and you had to depend on them taking it from a healthy child. Usually we had our bread from a nearby baker, and sometimes I have gone into the bakehouse and had it hot from the oven. One day the baker was drawing out the bread and drew out a lot of twists, or plaited loaves. Seeing which, his assistant, a big lad of somewhat simple mind, exclaimed “Oh, there’s twisties! Yoi!” The bread we liked best, however, was the home baked bread made and sold by Mrs. Bennett of the Lynch. Great big loaves between 7 lb and 8 lb, sold by weight, and of a nice texture and colour, not white like the bread today. I have no doubt it was made from local grown and local ground wheat. There was a flour mill just outside Berkeley, a water mill with millstones. It was lovely. You had to look sharp to get it before it was all sold. I do not remember what it cost. Fine Saturdays gave opportunity for rambles in the fields. One such afternoon was when Allan and I, with several of the Ayliffes and Fears, spent a couple of hours or so across the Leys. We refused to allow to come with us a boy whom our parents had told us was a bad boy, and we were not to have anything to do with him. After roaming about and playing in the meadows we set our faces towards home. A stile at the corner of Fear’s workshed led into the street. Behind this corner, unknown to us, lay in wait the bad boy intent on revenge for being rejected, with a bunch of nettles in his right hand. As the first of our party got over the stile, slash went the nettles right across the face! It happened to be one of our favourite girls, Pollie Fear, very nice looking, who was the victim. We were furious and took a favourable opportunity of administering suitable punishment on the perpetrator of the crime. Another excursion was cut short when Allan, climbing up into a high hedge, was struck violently in the eye by the springing back of a large twig. We had to lead him home after tying a handkerchief over his eye, which was painful for some time, but fortunately was not seriously injured. One autumn afternoon John Fear, Will Ayliffe, Pollie Fear and I set off to go nutting. Right across the Leys, beyond Ladymead and towards Wanswell Court. Quite innocently (we were about eleven years old) we went into a wood and found some nut trees. Climbing a bank and, I fear, doing some damage to a hedge thereby, we boys reached for the nuts and threw them down to Pollie who gathered them up. Whilst doing so a keeper suddenly appeared! We were ordered down, made to deliver up our nuts (Pollie kept hers). He evidently had a weak spot for little girls! He suddenly berated us for the damaged hedge. Then he demanded the names of us boys (nothing said to Pollie) and said he should see the police! We were very apologetic, said we didn’t know we were doing wrong, etc, and returned home rather miserable. A few evenings after, a knock came to our door. It was Police Sergeant to see Father! I promptly dived behind the sofa in fear and trembling! The Sergeant came into the room and discussed with Father several matters connected with Sharpness, but never a word about our nutting expedition! And we never heard anything more about it, which shows the keeper was a decent fellow after all. I only saw the Keeper once after that, when he was crossing the Market Place at Berkeley. I did not make myself known to him! As with most boys, one of our favourite games was “Hobbley-Onker”, the threading of a horsechestnut on a string and aiming blows with that of another boy, he doing the same with yours alternately, to see whose chestnut would survive. To obtain chestnuts you either begged off someone else or went on a quest for them. A certain Saturday afternoon found john Fear, Will Ayliffe and me at the top of the “Worthey”, just over the churchyard stile, flinging up into a chestnut tree which overhung from the Castle shrubbery, right over the footpath which led down the slope towards the little park. Suddenly, someone said, “Here’s a Bobby!” Looking up we saw the man in blue in the act of coming through the stile. Away we went for our lives down the hill, over the brook by the plank bridge, across the little park, and never stopped until we got into the cover, beyond where was a cart trach from one side to the other, with a gate at either end. At the far end outside the gate was a culvert to enable a deep ditch to be crossed. The ditch was then dry and someone said, “Let us creep into the culvert and hide there until the Bobby has gone by”, so down we dived. Then one remarked, “he will be sure to look down here.” Out we scrambled, and making sure the policeman was a long way behind we raced along the footpath through the fields towards Newport. Although the policeman had not made the slightest sign that he was after us, other than taking the same route as ourselves, the mere fact that we were trying to knock down the chestnuts was quite enough to make us run away from him! Presently we found ourselves in Newport, three miles from home by road, but only one and a half miles by the way we had come. Of course, we could not go back that way or we should run into the arms of the policeman. John Fear had a penny which was spent at a little shop in sweets, those flat round ones with mottoes on, such as “Kiss me”, “Be mine”, etc! Then our baker’s cart came along, and the man kindly gave us a lift back to Berkeley. But what with the fright, the running, the “Kiss me” sweets and the jolting of the cart, no sooner did I alight near our home that I was violently sick on the pavement! When I was a boy there were in Berkeley a number of interesting “characters”, such as were then to be found in most country villages – Johnny Parsons, “Gudge” King, Polly Ruther, Mrs. Tremern, Bell the Chemist, “Long” Bell, “Barmy” Baker, and others. Of these, Johnny Parsons was the only one with whom we boys associated. He was of a highly respectable father and mother who lived down the Stock Lane, but, alas, he was not quite right in his head, though of a perfectly harmless disposition, and in his way clever and witty. His great hobby was making coffins, and his chief diversion attending funerals. Mr. Charles Ayliffe, carpenter and maker of coffins, had a large workshop and timber yard in Salter Street. Thither Johnny constantly resorted and by the forbearance and kindness of Mr. Ayliffe amused himself with odd pieces of wood, and succeeded in making beautiful little toy coffins. I often thought it was a pity he could not have been trained in the use of his hands – he would doubtless have become a useful member of the society. When I was ten years old, he would be, I suppose, about twenty, just left to wander about and amuse himself in such a way as his poor, scanty wits would suggest. That he was not altogether devoid of sense was demonstrated one day when he joined a gang of us boys who were watching a funeral procession passing through the churchyard gates, being met there by the clergyman in his white surplice. “Ah,” said Johnny, (alluding to the clergyman), “I be more than he.” “How’s that, Johnny?” “Well,” Johnny replied, “He’s only a Parson, and I be Parsons.” Here was both humour and subtle reasoning. Oh, the pity of it that this gentle soul could not have been taken in hand ‘ere boredom and ennui did its work, for, alas, not many years elapsed before the morbid side of his character gradually developed, and his taste for coffins and funerals led at last to the idea of digging his own grave, culminating in an attempt to bury himself in a self dug grave in the garden… So poor Johnny had to be put away, where restraint and repression would soon bring about the inevitable end. “Gudge King”, otherwise known as “Tarbox” – a short, squat, figure of a man, whose main occupation, when he did have anything to do, was to go about smothered in tar, carrying a tin of the same and a long handled tar brush, for the purpose of tarring fences. Mostly, however, he belonged to the company of those who lingered at the corner of the Market Square, waiting, Micawber-like, for something to turn up! Polly Ruther, a half-witted young woman, too dull to do much other than stand at the street end of the alley leading up to the Court where she lived. Most people passed her by, but the impressionably young fry always had two questions to ask her, which invariably brought the same answers. “Who is your sweetheart, Polly?” A. “Mrs. Marling.” (My Mother). The Marling pronounced as Murling and the second syllable cut short. Mrs. Tremerne was a short old woman, whose husband suffered terribly from chalk gout, pieces of chalk exuding at times from his fingers. I believe Mr. Tremerne was a working tailor. They lived in a little house in Mary-le-Port Street, the living room being a step down from the pavement level, and opening right into the street. On the wall facing the door hung an old-fashioned clock, with a long pendulum which swung to and fro with a loud, solemn “tick, tock.” The remarkable thing about Mrs. Tremerne was her likeness to Queen Victoria. It is said that two gentlemen staying at Berkeley Castle were one day walking in the town when one of them clutched the other by the arm, and in a low, startled voice said “Good G…, there is Queen Victoria!” It was, however, Mrs Tremerne. Mrs. Tremerne was chapel cleaner at the Union Chapel, and one Sunday morning had left her black cloak hanging up behind the vestry door. A stranger was preaching that morning, and apparently was in the vestry unattended by any Church official. It was then the custom to wear a black gown when preaching, and looking about for the preacher’s gown, the visiting parson espied the old black cloak hung on the door. Concluding it was the Minister’s gown he took it down and with a struggle got into it, the sleeves reaching about half way up his arm! His appearance in the pulpit was the cause of much amusement to the congregation, who recognised the garment instantly! Long Bell was easily the tallest man in Berkeley, hence his nick-name. He was very thin and straight. By way of contrast was Mr. John Bell, the Chemist, of fair height and very portly in figure. His shop was at the corner of Church Lane and High Street, with a window looking into either, the shop door being in between, ie right at the corner, with a view up the High Street. Young and old resorted to Bell the Chemist for remedies for all sorts of complaints. His invariable first question, shouted out in a voice heard all up the High Street, after you had meekly said, say, “I don’t feel very well, Mr. Bell”, was: “and WHAT is the state of your BOWELS?” Your answer to this vital question gave him, I presume, the clue to his prospective treatment of your complaint! I know the question fired stentoriously at me, a little laddie, the first time I ventured to seek his advice, nearly frightened me out of my wits! I have previously related how his son, Johnny, a playfellow of mine, died of typhoid fever whilst I was laid up with the same complaint. “Barmy” Baker was a thick set, shortish man who, in his white smock or coat, walked from Berkeley to Dursley two or three times a week, and walked back each time carrying on his head a large tin containing several gallons of barm obtained from a bakery at Dursley, and brought for the use of the bakers at Berkeley. Barmy Baker carried this balanced on his head all the six miles from Dursley. Another character well known in Berkeley when I was a boy was Tailor Dauncy. He worked for Mr. Poole, the tailor in High Street, and came in every working day morning from Mobley or Berkeley Heath. Rain or shine, summer or winter, he always brought a large green umbrella and was never seen without it. Thomas Woolwright livedin a large house in Salter Street. He was very deaf, and after he had gone to bed, if one listened outside his house, you could hear him shouting out to his housekeeper who slept in the next room. At one time he played the violincello in the Berkeley Union Chapel Band, in which my father also played piccolo or violin, and of which my grandfather, James Eley, was leader. The band was superseded by an American organ before my time. When I knew Thomas Woolwright he used to sit in the front seat of the chapel, and for the purpose of hearing the sermon placed to one ear an ear trumpet, which was connected by a tube running under the floor with a flattened funnel shaped arrangement fixed to the front of the pulpit reading desk to catch the preacher’s voice. Father and Mother attended the Berkeley Union Chapel, and, of course, took us children. Allan and I went to the Sunday School. I can just remember the infant class to which I belonged at first, and the box of letters for making the words. We met in the vestry. Then, later, I was passed on to the boys’ class. One teacher we liked was Mr. King, a blacksmith of the town. Another teacher, who read his lesson out of a book, did not command very great respect thereby. A Minister at Union Chapel in my early days was a Mr. Hurd, very sedate and stiff. He much annoyed my brother Allan one day by asking him “well, my little man and how many legs has a cow?” Such a babyish question for a boy of seven. Another Minister we greatly liked was the Rev. George Robinson, a sensible, jolly man who se hearty laugh at a joke did one good. I was envious of Allan when he was put up into Mr. Robinson’s bible class, and hoped I should soon be old enough for the same. However, Mr. Robinson was gone before then. He came to our house to tea one day, and when he exclaimed “why Frankie, wherever do you put it all?” He threw back his head and roared with laughter when I promptly replied “In a bag, sir.” Yes he was the sort of Minister one liked to meet with. His wife , Cicely, was a very sweet woman. After he left there came a Rev. David Evans, a Welshman, a wonderful preacher but no talker out of the pulpit. He would come to see us, and he and my father would sit on either side of the fireplace smoking their pipes. Father would tell a humorous story, at the end of which Mr. Evans would continue puffing solemnly away for (it seemed to us) quite five minutes in absolute silence, and then suddenly he would exclaim “Very good indeed, yes indeed.” It was during his preaching that I first remember, as a boy, making an effort to follow a sermon through. I realise now that it does require an effort for a boy to listen with attention all through a sermon. When I was about ten years of age Will Ayliffe and I, also another boy of whose identity I am not now sure, got up early one Saturday morning by arrangement to accompany Mr Alfred Merrett, then (I Think) our Sunday School teacher, on his round as a postman. Leaving Berkeley about 6.30am we walked through Wanswell to Brookend, where he treated us each to a tart at Nancy Griffin’s, thence via the Malt house down the fields to Sharpness. The new docks were then in the making, and we walked across the narrow neck of land waiting to be cut through to connect the new docks with the canal. Then over in the ferry boat to the canal tow path. You pulled yourself over by means of a rope, one end was attached to either shore at opposite ends of the boat. Proceeding down to the Old Dock, then over the entrance gates and round the rocks by the Plantation, letting ourselves down off the rocks by means of a rope attached to a chain slung on a tree which hung over the cliff at the edge of the Plantation. Walking along the shore we came to the Holy Hazel Pill, which we crossed by means of a plank just where the new entrance is now. We must have made a divergence on to the new docks works as I remember looking down into the bottom of the dock where navvies were at work excavating, filling trucks with soil which were pulled away by small railway engines. I remember walking along Dock Row where the lockmen’s houses were, and noticing what nice little flower gardens they had in front of the houses, little thinking I should presently be living in one of the block of houses, and live there in the same house for almost 54 years. Afterwards we left the dock works and went across fields to Sanigar and Oakhunger Farms, then across fields and along the lane to Oakhunger and thence into Berkeley where we arrived about 10.30, after seven miles of tramping. At Oakhunger Farm we were given a drink of whey, which we very much appreciated. The Sharpness New Docks were opened on Wednesday 25 November 1874, between eight and nine in the morning. I was to have gone with my Father to the opening but it turned out such a pouring, wet morning that it was felt inadvisable that I should go. It would have meant walking nearly three miles each way besides standing about in an exposed place in the rain. My Father’s duties, as Clerk to the Dock Company, called him there, so of course he went. In the evening he told us how the “Director” was the first ship to enter, followed by the “protector”, both sailing vessels, assisted by tugs. Up to then the Dock Company’s Sharpness office was at the Old Dock, where Father was in charge, he being assisted by a young man names Joseph Sturge. With the opening of the New Docks the Dock Company decided to have an office there and to transfer my father there, giving him a young man, Harry Hall, to assist him, Mr. Sturge remaining at the Old Dock office, and to be accountable to father. The Dock Company said they would build an office, with dwelling house attached, for my father, as they wished him to live on the spot instead of walking from and to Berkeley as he had done for some 25 years. Meanwhile they fitted up the ground floor of one of the houses originally intended for lockmen, but till then occupied by the dock contractors, and the house next door forming part of the same block, together with two of the bedrooms over the offices, was allocated to father as a dwelling house, and thither we moved in September 1875. (The new office and dwelling house was never built). What an exciting time for us children it was! Allan went off early from Berkeley in the morning with father to the Old Dock. I stayed behind and when the first load of furniture was piled up in Mr. Mabet’s open van, I was hoisted on top, together with our retriever dog, and travelled the three miles to Sharpness via Wanswell and Brookend, keeping a tight hold on “Nero” to prevent him dashing through a looking glass, or otherwise disturbing the furniture. My dinner consisted of a currant roll, eaten standing at a window looking into the garden. Later in the day, having seen all the goods moved from the house in Salter Street, Berkeley, mother arrived with the younger children in a brougham. I presume we all set to work, and then got our beds up for the night, at any rate we were soon settled. What a strange place Sharpness was then! The only brick built houses on the New Docks were the eight, in four blocks of two each, occupied respectively by six lockmen, the new Dock Office, and ourselves. Turf huts there were in plenty, occupied by the navvies and other men still engaged in finishing the work around the docks. The first grain warehouse was being built. The railway from Sharpness to Berkeley Road was under construction. There was no gas, no school, no church, no shops, but a kind of general store and post office. We had to use condensed milk and get our meat once a week from a butcher who came with supplies to a public house, formerly a farm house, at Oldminster. The office was not opened next door for a little time after we settled in, and as the open dock side stretched right away from our premises Mother felt lonely and insecure, especially as there were rough navvies and foreign sailors all over the place. One day, just before one o’clock, mother was busy over the range preparing dinner, and expecting father in from the Old Dock any minute, when she heard the front door open and shut, then the living room door open quietly. Thinking it was Father, she did not look up for a moment as the cooking needed attention but as Father did not speak, after a while she looked round, and to her horror discovered a big foreign sailor in the room! Poor Mother almost fainted, but the sailor held out a letter and said “Post Office?” Mother managed to make him understand that the Post Office was elsewhere and the man, perfectly harmless, left. Father came in, and explained that in their country (Norway) to which the sailor belonged it was customary to walk into each other’s houses uninvited. However, after that our front door was always locked, or fastened with a little bolt. Soon, however, the Dock Office was established next door, and with Father so close at hand Mother felt more secure. With the advent of the Dock Office, my father, who was in charge of the same, was also appointed Sub Postmaster, and the Post Office was moved from the wooden shop where it had till then been located, near the old “Shanty” (a Public House overlooking the canal near the Old Dock) to one of the rooms in the Dock Offices side of our block. The old Post Office and shop had to be pulled down to make way for a coal tip. Allan had left school by the time we went to Sharpness, and he was installed as Father’s assistant in the Post Office work while Father had a young man named Harry Hall to help him in the Dock Office. It will be realised that in those early days there was hardly any permanent residents at Sharpness other than Dock officials, so it was natural that the Dock Company had to nominate one of their staff to take over the postal duties. The letter box was cleared once a day, at five o’clock, and there was one delivery, the letters being sent out from, and despatched to, Berkeley (by a postman on foot) under which office Sharpness was a sub-office. I had to go to Berkeley to school, and to avoid the nearly three mile walk to and fro it was arranged between my parents and Mr. Alfred Merrett and his wife (Mr. Merrett being the Sharpness postman and therefore in daily contact with my father) that I should go to Berkeley on Monday mornings and stay with Mr. And Mrs. Merrett till Friday afternoon, sleeping with their son Harry, I to buy my own meat, butter, bread, tea, sugar, milk, etc, Mrs. Merrettt doing such cooking as I needed. For this Mrs. Merrett offered to be paid one shilling and sixpence a week. I must say she looked after me very well, and when they had any I always shared their green vegetables and pudding. I think the Merretts were glad to get a companion for their son, an only child, who was older than I was. On winter evenings we used to play draughts in a tiny room, with sometimes other boys joining us. Apart from his job as postman, Mr. Merrett was a cobbler, and had a shoe shop, Mrs. Merrettt looking after the shop. One thing she did for me – she taught me how to pack parcels! A journeyman named Driver and anther worked at the cobbling for them, and Mrs. Merrett used to make paste for the shoemakers, but, so she used to say, she made it so good the men used to eat it! After a time, the railway from Berkeley Road to Sharpness was opened and then it was arranged that I should go to Berkeley by train in the morning, the Sharpness station then being at Oldminster, and walk back in the evening. Mother, Allan and I went in the first train from Sharpness to Berkeley, my ticket being the first return ticket Sharpness – Berkeley. I stayed at school until I was fourteen and a half. I well remember the day I left, it was quite unexpected. It was 18 July 1877. I left home that morning as usual, going up to Berkeley by the train about 8.00am. During the interval between morning and afternoon school a message reached me that I was to go home. When I got home I was told that my Grandmother Eley, in Bristol, had died after a short illness and that my Mother had gone there. Father went down for the funeral and I stayed home to help. It was a busy time in the office and I was useful delivering telegrams, etc, and it was decided that I should not go back to school. /I was very grieved about my Grandmother’s death. After Grandfather Eley died (before I was born), she continued to live in Berkeley for a time. I remember going to see her in a house in the High Street. Then, when I was quite small, she and my youngest aunt, Aunt Fanny, went to live in Bristol, and on several occasions I went to stay with the. I enjoyed this very much, and used to roam about the City by myself. At other times going with Grandma to call on Uncle Edward or Aunt Emily (Mrs. Greening) who also lived in Bristol at that time. On the day that Grandma Eley died, Mrs. Anne Eley of Kingswood, Wotton-under-Edge, (the widow of my mother’s first cousin, James Eley) with two or three of her children, including Kate and John, called to see us, they having been down to the Plantation for a picnic. Going to the station to see them off we found the Lock Gates were open, so we had to walk across on the “Baulk”, a floating wooden structure across the entrance to the locks. John was quite a little boy and I carried him across! In later years he far topped me in height, size and weight! The years that followed came and went. One can give but a brief impression of them. I could not get any settled job. I helped my father in the Post Office, went with telegrams, and eventually learnt to send and receive telegrams on the single needle instrument then in use. But Allan was the recognised assistant. I had no definite status. If there was a telegram to be delivered beyond the free limits I was glad to take it for the sake of the fee for delivery, payable by the addressee, a shilling or sixpence. Once I went to the Manager of the Gloucestershire Banking Company at Berkeley to enquire if I might be given a position in the Bank. I was then eighteen and he said I was too old to start. I talked of trying to get into a drapery firm in Bristol, but nothing came of it. Then just when I was twenty, Harry Hall, who assisted my Father in the Dock Office, developed consumption, and was ordered a sea voyage to Australia. I was appointed temporarily in his place. Poor Harry died before reaching Australia, and the Dock Company took me on a £1 per week. I paid 10/- or 12/6d a week to my mother for my keep, insured my life with the United Kingdom Temperance and General Assurance Institution for £100 with profits payable at death or on attaining 40 years of age, for I argued to myself, by that time I may have children and I am determined to give them a better education than I have had myself, and this may enable me to do it. The premium was £6-2s-10d per annum. A little time after this I began paying £1 a month into the Bristol Economic Building Society to save up for the eventuality of getting married. Meanwhile, Sharpness was growing. The navvies ‘ huts, row by row, disappeared. Brick houses and wooden shops were built. Warehouses were erected. In 1879 the Severn Bridge was completed and the Sharpness Railway Station was moved from Oldminster to its present position, a site less convenient for the people, but perhaps more so for the Railway Company. The opening of the Severn Bridge was celebrated by a large gathering of invited guests, who travelled across the bridge and partook of luncheon in a marquee erected near the Severn Bridge Station. Whilst the bridge was in construction I walked across once or twice. My Father was given a pass to permit him and his family to walk over. He took us one day. We had to get over the canal bank wall, walk across planks on to a wooden staging, up a wide ladder or steps up to the bridge itself. I also walked across with a telegram once. As is evident the bridge is supported on piers. These consist of iron cylinders built up in sections, the bottom bolted on to the solid rock, then filled with concrete. When the sections lay on the ground at Sharpness waiting to be conveyed out to their positions I walked through a number of them. As the sections were taken out to the river in barges they were lowered over the side into the river and gradually built up. To enable the riveters to work inside the cylinders a bulkhead with double doors was erected at the top of each cylinder, and air pumped in at high pressure to keep out the water. On one occasion then this was being done a man fell from the top inside a cylinder, a fall of about thirty feet. In ordinary circumstances a fall such as this would have probably have killed him, but the buoyancy of the compressed air under his clothes so reduced the force of his fall that he was practically uninjured. Religious services were held during the construction of the Docks in a tent. In quite early days after the opening of the Docks, services were held in a wooden room alongside the Dry Dock, a Sailors’ Missioner from Bristol frequently conducting same. Then a lady provided a corrugated iron structure at the end of Dock Row, and the services were continued there. Services of an evangelical nature attended by the inhabitants quite freely irrespective of their religious denomination. Soon after this the St. Andrew’s Waterside Mission became interested in the work, and eventually the oversight and direction of the services was handed over to the Vicar of Berkeley, and a Dock Chaplain was appointed, whose stipend of £150 a year was contributed in equal proportions by the Sharpness Dock Company, St Andrew’s Waterside Mission, and the Vicar of Berkeley. The services had by now become definitely as laid down by the Church of England, and those who were Nonconformists no longer felt at home in same. This led to a movement for a nonconformist place of worship, and my Father and others approached the Union Chapel, Berkeley, who decided to build a branch chapel at Sharpness. Just at that time a field at Oldminster was offered for sale in building plots, and the Chapel Committee secured a plot on which was built the first temporary Union Church. Houses were built forming a little centre, and the newly built place was named “Newtown.” I have dealt with the history of the Sharpness (Newtown) Union Church in my booklet entitled “The First Fifty Years of Sharpness Union Church, 1880-1930”, which I wrote in 1930 at the request of the Minister and Deacons, so there is no need to repeat it here. In 1879, when I was sixteen and a half I commenced Sunday School teaching at Pitbrook Sunday School, transferring to Sharpness in February 1880, when the latter was opened. In 1929 I was given the National Sunday School Union Diploma for fifty years continuous Sunday School service. The Sharpness Union Church was opened on 25 January 1880 and on the following Sunday a Sunday School was started. The Rev. W.J. Humberstone was the Minister at Berkeley and became automatically Minister of Sharpness. On 29 February the first communion service was held, and at that service I was amongst those received into Church membership. I remained a member until February 1932, when, with my wife, I was transferred to the Church at Old Town, Wotton-under-Edge. From the latter we were transferred on 4 March 1934 to Southgate Congregational Church, Gloucester. From the first I took an active part as teacher in the Sharpness Union Chapel Sunday School, and in 1893 was appointed to the position of Superintendent, a post which I held until the end of July 1929 when I left Sharpness on retiring from business. It is impossible to tell a hundredth part of one’s experience and activity in the Sunday School, of the hundreds of boys and girls whose careers I watched from their earliest infancy till they grew up, some of them into grandparents! Sunday followed Sunday, Anniversary followed Anniversary. The time seemed crowded with all kinds of activities. For many years I trained some fifty scholars for an annual Entertainment, consisting in later years of an Operetta. The children loved these, and one got to know them so well in the practices. Sunday School and Christian Endeavour Conferences and Rallies on Good Fridays were a great feature for some 29 years. For a lot of these I wrote an “Exercise” for the children. The Anniversaries and Treats were great events, the latter especially being big undertakings. My greatest regret on giving up the work on leaving Sharpness in 1929 was severing my close connection with the young life of the Church and School. I always felt myself one with the children, and it was ever a delight to talk to them and enter into their thoughts and feelings. I think it was because I had such a vivid recollection of my own thoughts and ideas as a child that I felt so much at home with children, and they with me. (Note by K.G. Marling: Here the first part of the narrative ends, the remainder being added by a different hand, and clearly after a lapse of some years, and judging by the writing, probably around 1952. I think the major part was written soon after he retired in 1929, though part may have been added after they moved to Gloucester in 1933). With regard to my family, my wife and I were very happy together. I had joined the Church, as previously stated, on 29 February 1880 and was a Founder Member. On our marriage my wife became a member, and in every way with regard to temperance, thrift, management of home and children, etc, we saw eye to eye. We first met when I was four years, four months old, the first week in May 1867, and I have a vivid recollection of same, but as Kate was then only just past her second birthday (being born on 17 April 1865) she does not remember it. My Grandmother, who then lived in Berkeley, had occasion to go to Thornbury about some property of her late husband, and asked my Mother, also then living in Berkeley, to go with her – Mother took me. We drove in a dog cart driven by my Uncle Henry, who had taken over the saddlery business formerly carried out by my Grandfather (his father, James Eley) in Canonbury Street, Berkeley. I remember the white railings at the side of the road leading up to Bevington, so that shows we took the route through Hill. Next I remember seeing the Maypole at Moreton, and Uncle saying “A few days ago they were dancing round the Maypole.” Then I remember being in a house in Thornbury at the bottom corner of High Street as you turn round for Gloucester, and looking out of the window across “The Plain”, and seeing people fetching water from the pump there. When we were ready to start for home someone said “Why not call at Moreton and see cousin James?” James was a first cousin of my mother and Uncle Henry, and kept a farm at Moreton, which was near Thornbury. I remember the left hand turn in the lane, then a big pond on the right overhung by a big tree (walnut, I think), then the garden gate and path up to the house (a double fronted one). As we walked up the path we could see through the right hand window on the ground floor, where in that room was cousin James’ wife sitting on a chair with a baby on her lap (this was Shield, the eldest boy). I was sent out to play with the two little girls, those would be Florrie (three the previous February) and Kate (just gone two), the first girls I ever remember seeing. They took me into their “house”, the interior of a huge hedge of box, hollowed out in the centre where was a bare branch on which I sat and jogged up and down. We did not see cousin James as he was out in the fields and did not come in whilst we were there. I do not remember anything about the drive home. With the exception of the brief visit on 18 July 1877 I did not see Kate again until March (I think) 1881 when she came to stay at our house at Sharpness for a week. She was sitting on a chair on the left of our sitting room not far from the door when I went in, and directly we saw each other we fell in love with each other. I was too young and shy to say anything but we both understood. One night as I was going to bed we accidently met at the bottom of the stairs and I kissed her hand. Strange to say, and to my great annoyance, it was Allan who had to go everywhere with her, to Berkeley and to Gloucester, and even to the station to see her off when she returned home. She was then living at Mireford Farm, Kingswood, near Wotton-under-Edge and had lost her father some years before from typhoid fever. We corresponded for a couple of years, and then Uncle Henry, then in business as a saddler in Colston Street, Bristol, invited us both to visit him and his wife for a week. I suppose he saw how things were, and had a serious talk with me, saying he did not think we ought to marry as we were too nearly related, etc. As I was then only 20, and I suppose easily persuaded, I gave up all thought of Kate, and ceased to correspond. (K.G. Marling: Here the narrative finally ends – why it was left at this point we do not know). 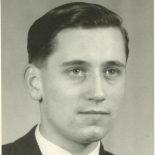 Thank you for allowing me to use some of the material posted on your website – it will be great to add some images of Frank and the family he writes about in his memoirs to add life to his writing – I will make sure to add a reference to your website at the bottom of my posts for any images or material used. My posts are to analyse and give details about Frank’s memoirs to contribute to a collaborative research project online about working-class lives and writing. As part of my posts about his memoirs, I wanted to use some of the additional information you have given about his life and writing about the Sharpness Union Church to add to the details about his life. I hope you do not mind me contacting you. I am writing in relation to the wonderfully vivid memories of Frank Marling, featured on your site. At present, I am currently carrying out research for the a charity group, the Vale of Berkeley Railway. The group are working towards starting a preserved railway on the Sharpness railway branch, of which Mr Marling’s memories frequently refer. I would like to ask, if it would be at all possible to share some of Mr Marling’s memories with members of that group and use some parts of them to publish in a small article in their Newsletter/Magazine, as they would be of great interest and relevance. This entry was posted on June 5, 2016 by Richard Barton in Eley Journals and tagged Berkeley, Berkeley Union Church, Frank George Marling, James Eley, Oliver George Marling, Sharpness, Sharpness Docks, Sharpness Union Church, Thornbury Baptist Church.